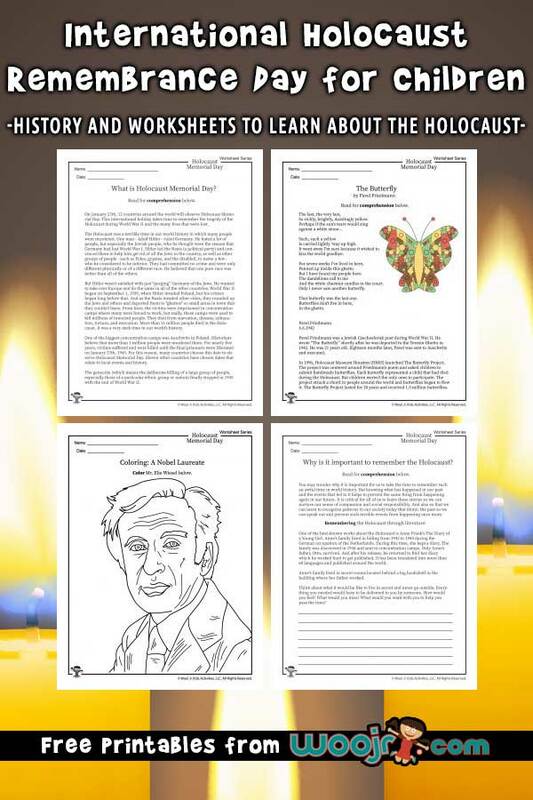 Mommy Maestra: Teaching Children about International Holocaust Remembrance Day with Woo! Jr. Teaching Children about International Holocaust Remembrance Day with Woo! Jr.
Did you know that January 27th is International Holocaust Remembrance Day? What a difficult subject to teach children. But it is an important one. First, so that we can teach history accurately. And second, so that we can foster kindness and compassion in our children. Are you wondering how to teach your kids or students about the Holocaust? If so, stop over at Woo! Jr. to see the article I wrote for them. You'll learn just what the Holocaust was and why we need to teach it to our kids. There are some lovely activities and excellent printables that you can download, too. Be sure to take a look around while you are there because Woo! Jr. has tons of excellent teaching resources on everything under the sun!